Part No: A839011 Category: GC-MS Service Parts. Tags: ceramic insulator, clarus gcms, filament, maintenance, N6480140, N6480145, nut, o-rings, pe, pe gc-ms kit, peek union, perkinelmer, pm, washer. Designed to service the PerkinElmer Clarus GCMS series of GC-MS instruments. 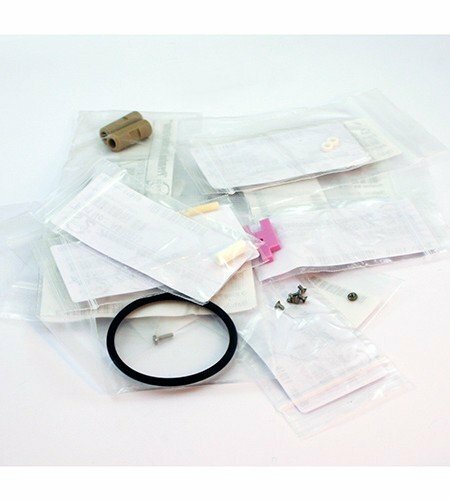 This kit provides all the o-rings, nuts and washers required, as well as ceramic insulator in order to maintain high vacuum pressure for the pump to run at its full potential. Designed to perform a 12 month service, including all relevant o-rings, screws and insulators.